These days the country that hates France the most is China. France is seen as behind the opposition to China&apos;s Tibet policies. 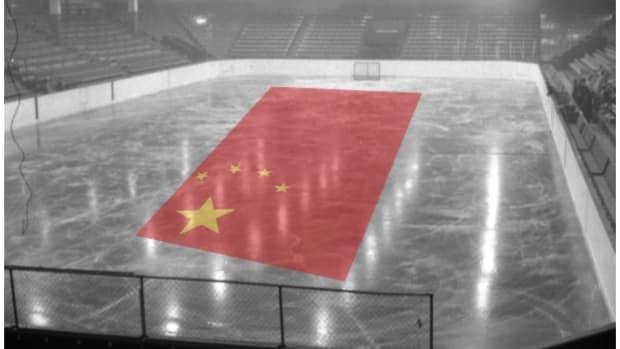 They are blamed for the protesters who are using the Olympics as an opportunity to tarnish China&apos;s image around the globe. This pisses off the Chinese, especially the young professional class, so much that the Chinese government had to ask them to chillax a bit. Why all the aggro? Chin a sees the Olympics as their moment in the sun, when they would display to the world the glories of the Chinese way of life. These protests are storm clouds that threaten to blot out that mighty sun. It looks to them like the protesters--who really aren&apos;t that French, as far as I can tell--are politicizing the Olympics. We can&apos;t help but think that this is pretty much awesome. Whoever managed to get the French and the Chinese to start exchanging blows deserves a medal. But what we really want to know is what the Chinese are calling French Fries. And what will this do to the global price of potatoes? --John Carney hopes that the Laotian government doesn&apos;t mind him writing this kind of thing from its northern provinces.